08.07.08 George Stevens Academy teacher and chess instructor Paul Gliden will be offering two chess classes at the Blue Hill Library on August 13th and 20th from 2:30 - 4: 30 p.m. The classes are open to the public and free of charge. 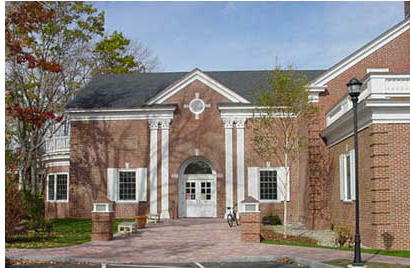 The Blue Hill Library in Blue Hill, Maine. For more information visit the Blue Hill Library or call (207) 374-5515.